197 p., 18,1 x 25,4 cm. Edited by Bob van Rootselaar. 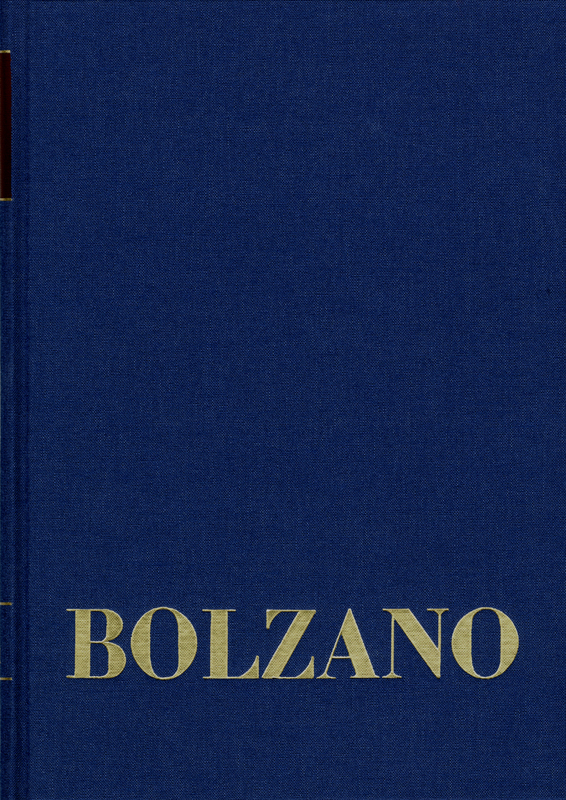 This edition of the manuscript of the ›Functionenlehre‹ (Theory of Functions) written by an unknown copyist, differs from the first edition (1930) in that among other things Bolzano’s original work has been incorporated here consistently. In the introduction, mathematical concepts and propositions such as for example the uniform continuity theorem, the Bolzano-Weierstraß theorem and the determinable functions theorem, whose position in Bolzano’s works did require some explanation, are discussed in greater detail here.